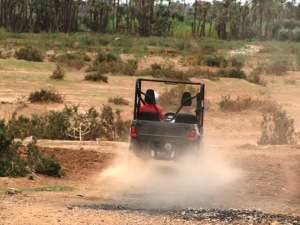 Experience the thrill of whipping through the pre-desert on a dune buggy with Splash Morocco! We have a selection of two-seater dune buggies that are perfect for the desert terrain – rugged, fast and great fun! We will take you from Marrakech to the Palmeraie on the outskirts of the city where you begin your adventure. After being issued with a safety helmet, balaclava and goggles (essential for the dust), we have a short safety briefing, and then we’re off on a 40km trek of the arid landscape, stopping a couple of times for water and mint tea. 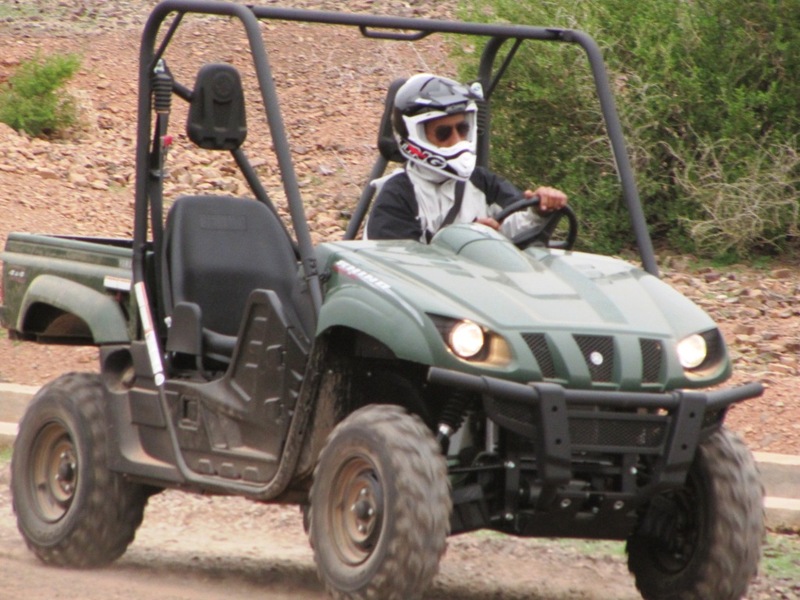 The cost of this activity is £80 for a dune buggy driver and £20 for a passenger (you’re free to swap places as often as you like). To book your dune buggy trip contact Splash Morocco by email: info@moroccoadventuretours.com or telephone: Morocco +212 (0)618 96 42 52.